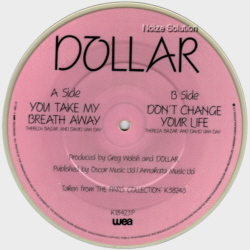 At Noize Solution we buy and sell Dollar Picture Discs and other Collectable Vinyl Records. 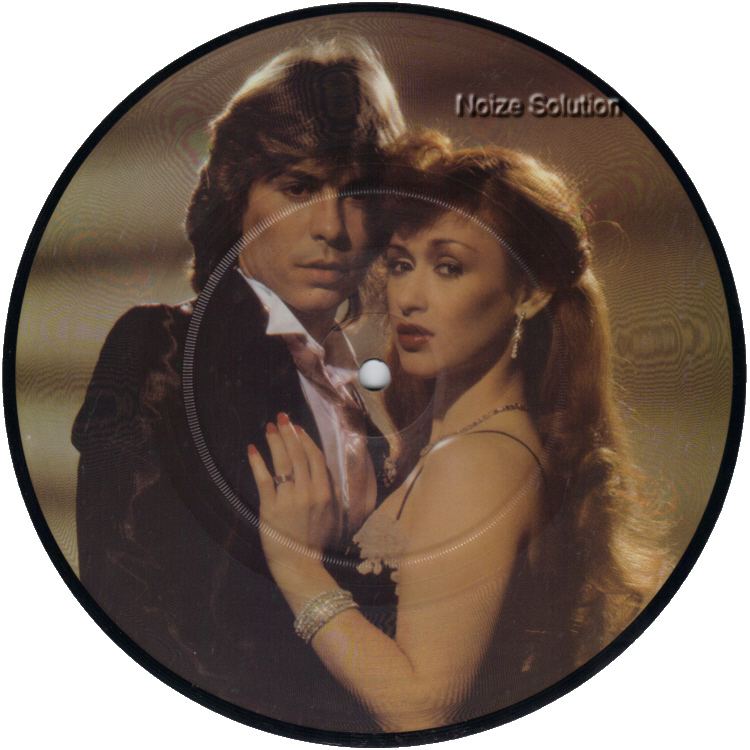 1979 UK issued 7 inch vinyl picture disc single on the Carrere label. 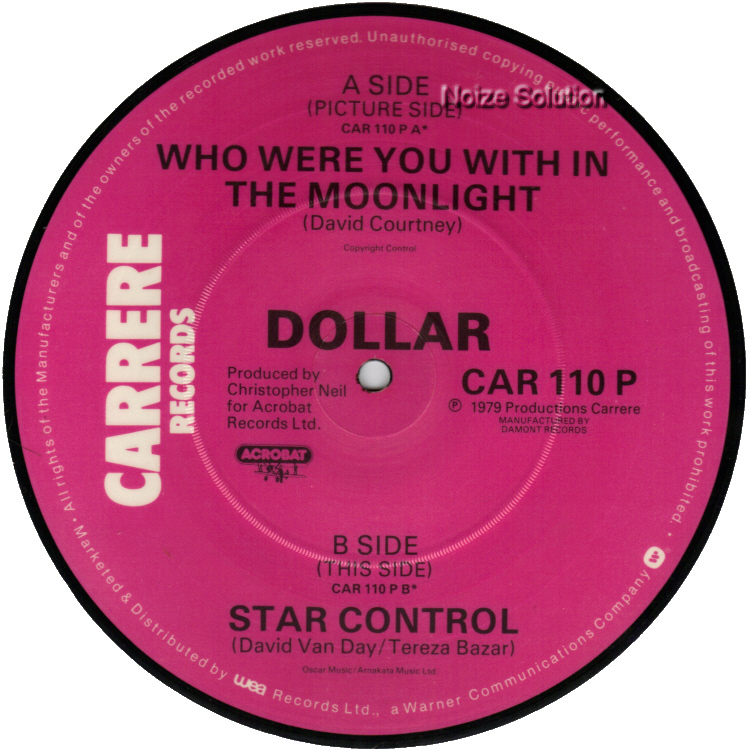 B side title is 'Star Control'. 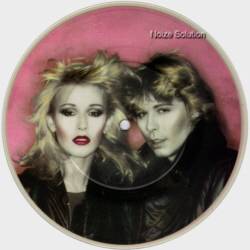 1981 UK issued 7 inch vinyl picture disc single on the WEA label. B side title is 'Don't Change Your Life'.